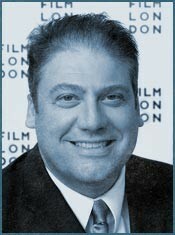 Adrian Wootton is CEO of Film London and co-Director of Dickens 2012, the worldwide project to celebrate the life, work and enduring legacy of Charles Dickens during the year of his 200th birthday. In this context, Adrian has co-curated the Dickens on Screen season at the BFI Southbank and produced the BBC/Film London Arena documentary Dickens on Film (showing later the same evening). In this illustrated talk, liberally sprinkled with slides and film clips, Adrian will look at the rich legacy of Dickens adaptations on film and TV from 1898 to the present day and describe how Dickens influenced the creation of the medium itself. QFT will also be screening monthly classic adaptations on the first Sunday of every month throughout 2012.